Richard Linklater tends to create films that embody a passion for life, love, and cinema. Through carefully strategic shots and perfectly compatible on screen chemistry, Linklater seems impervious to creating trite, stock characters. Usually rich with depth and brevity, Linklater’s film are studies of everyday life and love that go beyond the good and bad. Years ago, Linklater stole my heart when he introduced me to the fate of Celine and Jesse, two random passersby’s who meet on a train. Their loves then blossoms into a long-lasting, engaging partnership rich with discourse and revelations. Two films and almost 20 years later their saga ambiguously ended in Before Midnight, in only the way the duo’s turbulent, rocky relationship could; with good conversation and open-heartedness. Boyhood catapults the Before series out of the water, instead championing as Linklater’s most daring attempt as a filmmaker. 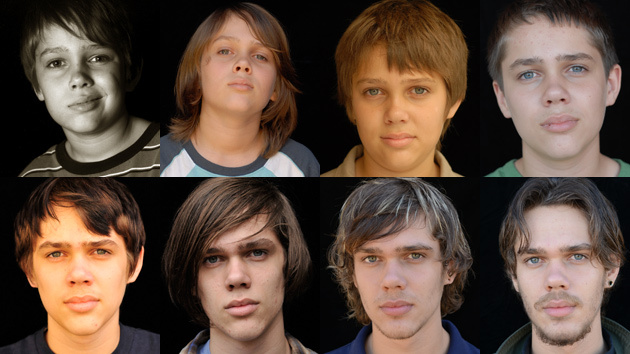 Boyhood captures how Linklater tramples on the heels of one boy’s journey into adulthood over a span of 12 years. Filming for a few weeks every year with the same actors, Linklater shaved down virtually 12 short films and hundreds of hours of footage into a near 3 hour excursion that peers into a bittersweet family drama revolving around Mason Jr (Ellar Coltrane). The son of divorced parents, we meet the daydreamer at the tender age of six along with his feisty 8-year-old sister Samantha (Lorelei Linklater). From the start we, along with Mason’s mother (Patricia Arquette), are confronted with Mason’s tendencies to drift through life. It’s obvious he’s intelligent, but his lack of work ethic seems to hold him back. From there on we float with Mason Jr. slowly becoming engrossed in the changing dynamics of his immediate family and the evolution he undergoes as he grows up. Boyhood is simply extraordinary. Spanning 12 years the film rarely looks aesthetically jerky or uneven. It’s cinematography rarely changes and neither does the quality of the image like one would expect from a film who’s roots are in 2002 and branches out into 2012. Boyhood’s near three hour runtime rarely feels dragged out, mostly because Linklater refuses to focus on a specific time frame. Boyhood instead unwinds fluidly through time with major events or minor conversations existing as the only indication of a year like the presidential race between Bush and Kerry, the release of the novel Harry Potter and the Half-Blooded Prince, post-9/11, Obama vs. McCain, and the implementation of Facebook. Hair, clothing and snippets of songs also become indicators to time thus leaving Mason Jr. and his family’s transitions in life the focus of the film rather than the what time frame we are in. The performances in Boyhood across the board are outstanding. Ethan Hawke is more than known for his bumbling career missteps in film. Though a phenomenal performer, Hawke’s talent is often forgotten due to his questionable role choice. However, in the hands of Linklater Hawke is a master to behold embodying the characters he portrays with such natural ease that it just seems like his own personality is shining thorough. Hawke’s assestment of Mason, a slightly absent father growing up parallel to his children is engagingly relatable. On the other hand, Patricia Arquette as the single, stressed out mother with bad luck on her side is the stuff of legends making her performance perhaps the best of her career. Arquette gave me goosebumps in her delivery, partly because her character reminded me of my own mother and the mistakes she has made throughout the years. Her pitfalls come from good selfless places, a testament to the skills of Arquette and Linklater’s script. Mason ends the film an intelligent teenager that shines with independence and growth complimenting Coltrane for his evolving skills. He and Lorelei both do great jobs of capturing the humility and change experienced through years of growth, but it’s Hawke and Arquette who truly shines. Side characters that we sporadically get reintroduced to throughout the film also carry their weight pushing humor or tension into the film whenever it’s needed. Boyhood is a gem and an astounding contribution to cinema. Linklater reminds audiences of not just his glorifying directional skills or his heartfelt script writing, but of his ability to capture humanity in its purest form. 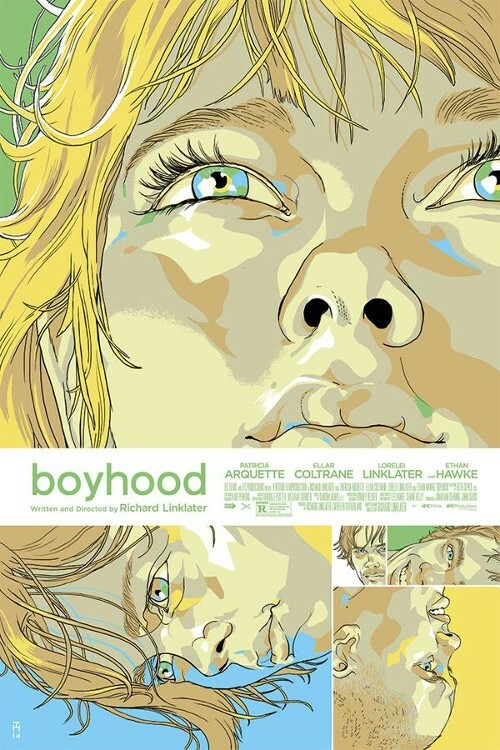 It’s not about action or plot devices in Boyhood, it’s about the earnest look into one boy’s coming of age and how the world around him affects who he becomes in adulthood. It’s a slice of life tale that is so detailed and inordinate in its narrative that it sent shock waves through me. Currently, a wave of critics have found folly in Boyhood’s story and furthermore the unanimous praise it’s received. Its been lauded for maintaining a very liberal, and very white, viewpoint on life. While I understand these criticisms, I found a deep personal connection to the story laid out on screen, be it being a new kid in school, dealing with domestic violence, enduring repeated painful divorces, or just dealing with teenage apathy. What I found most refreshing about Boyhood is that its not just about Mason Jr.’s journey into adulthood, but it’s about how life takes us on unexpected twists throughout. When Mason Jr. Is preparing to leave home for college, his mom tells him she “thought there’d be more,” a mortal reminder of the the transgressions we experience in life and how easily it is to get lost in trivial everydayness only to look back and wonder where it all went or what it means. Boyhood reminded me why I strive to live in the moment and make my years the best they can be so I’m never defined by my role as a daughter or potential parent or partner, but for the legacy I choose.